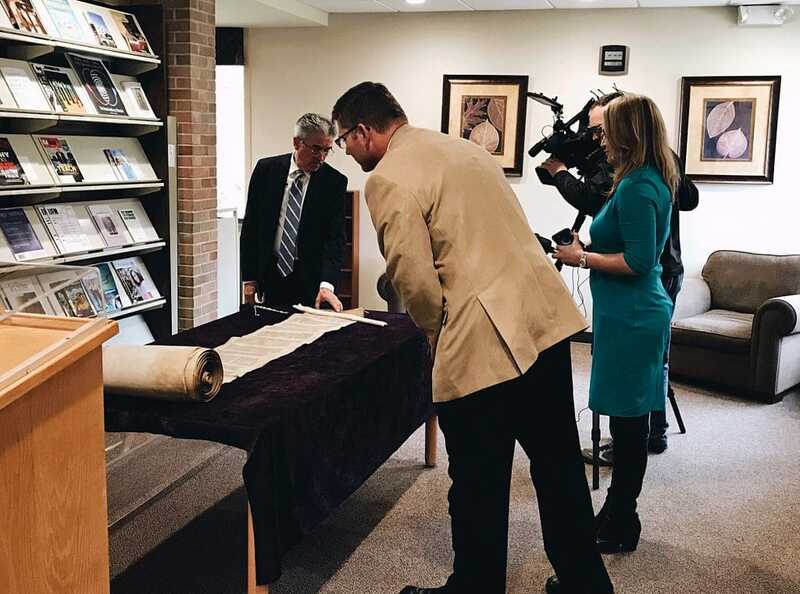 Grace Christian University was gifted a rare Torah scroll by Kenneth and Barbara Larson of God’s Ancient Library on September 11, 2018. The Torah was donated for use by Grace for Bible study. The Torah, being the first five books of the Bible, is handwritten in Hebrew and filled with rich history. This artifact is considered a rarity and a survivor of the Holocaust. Before World War II, there were about 80,000 of these scrolls. During the World War II European invasion, the Nazi armies focused on destroying all aspects of Jewish life including religious documents. Because of the destruction across Europe, there are only about 20,000 Torah scrolls left in the world. Originating in the late 18th century, the Torah scroll gifted to the university is well over 200 years old. In fact, it is about as old as The United States. Grace is one of less than fifty schools in the world to receive a Torah from God’s Ancient Library foundation. The scroll has a unique identification number on it and is recognized by the Israel Antiquities Authority. 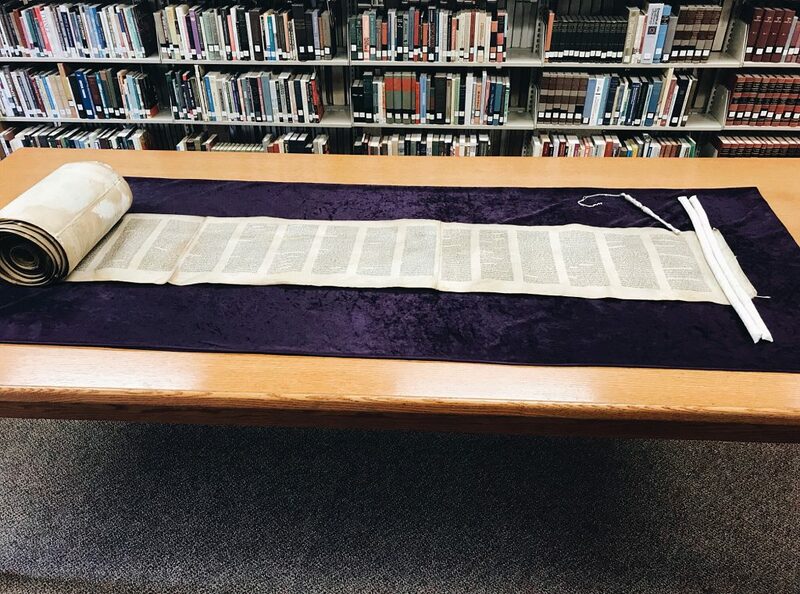 “It’s an incredible privilege for Grace Christian University to be given the stewardship of a Torah scroll and the opportunity for our students to be able to see it, interact with it and celebrate the history of scripture as it’s been handed down through the centuries,” Brian Sherstad, Executive Vice President of Grace Christian University, said. The Torah is available for public viewing on Grace Christian University’s campus in Wyoming. 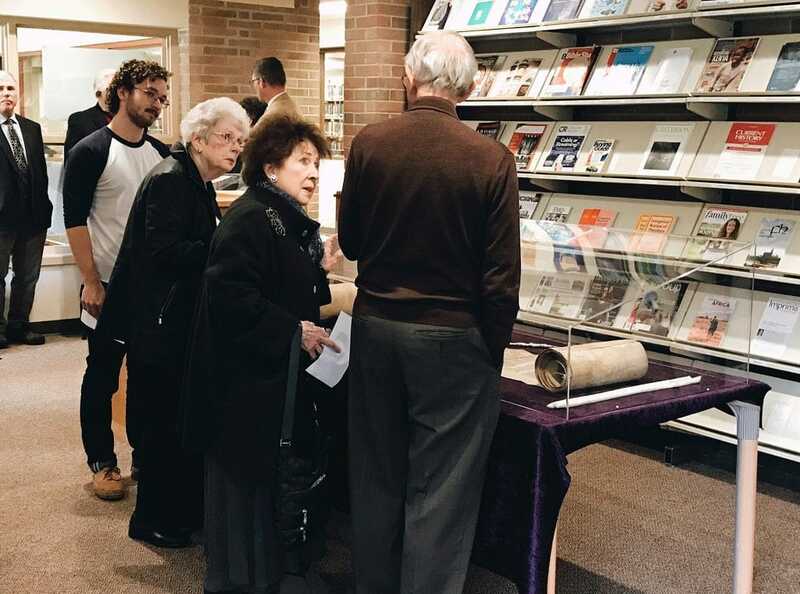 The Torah is on display in Bultema Memorial Library on weekdays between 8am-4pm.